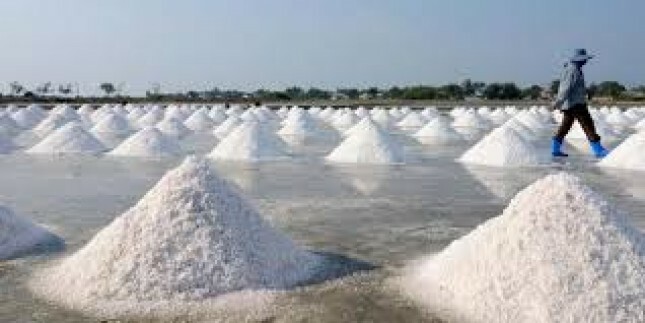 INDUSTRY.co.id - Jakarta- The People's Coalition for Fisheries Justice (KIARA) noted at least since 1990 salt imports have been carried out as many as 349,042 tons to meet industrial needs and salt stock shortages due to the impact of weather anomalies. Susan explained to the Development Cabinet IV or Pelita IV, amid the standardization of iodine salt, people's salt production is abundant up to 800 thousand tons, while consumption requirement is only 600 thousand tons. The abundance of farmer's salt production cannot be absorbed by the industry because it does not meet the criteria of sodium chloride (NaCl) content at 97 percent salt, so the need for industrial salt has always been supplied from Australia. According to her, the import of salt has always been a solution when salt is rare during drought. The government also facilitates the import by issuing at least nine regulations in the form of Ministerial Regulation or Ministerial Decree since 2004. Most recently, the Regulation of the Minister of Trade No. 125 of 2015 precisely aimed to simplify the import licensing of salt. Susan added it was time for the government to show its seriousness to stop importing salt that could start with the reform and management of people's salt. In addition, salt farmers need to receive technology assistance, protection and empowerment of salt farmers through strengthening the association and implementation of mandate of Law No. 7 of 2016 on Protection, Fishermen Empowerment, Fish Cultivation and Salak Pond. The salt farmers should be given capital or technology assistance because good quality salt needs iodized machines and production technology that does not rely on the weather.